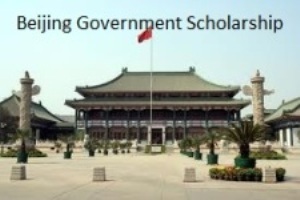 Beijing Government is offering scholarships for international and developing countries students to study for Undergraduate, Master’s and Doctoral degrees 2015 and annually. For specific application means, you can consult the government departments and relevant institutions responsible for dispatching students abroad in your country, Chinese embassies or consulates; you can also visit the Web of Beijing Municipal Commission of Education (http://www.bjedu.gov. cn) to inquiry; or directly apply to the universities qualified to issue such scholarship in Beijing. The Association of Commonwealth Universities is offering the Chevening Scholarships for one year postgraduate Masters course to study any discipline at UK Universities. Deadline is now November. Carnegie Corporation of New York is funding three distinct competitive fellowship opportunities for early-career social science faculty of African academics working on peace, security and development issues. Each year Utrecht University Netherlands offers the Utrecht Excellence Scholarships for international students to study for Bachelors and Masters degree. The Fellowship provides an annual stipend of HK$240,000 (approximately US$30,000) and a conference and research-related travel allowance of HK$10,000 (approximately US$1,300) per year to each awardee for a period of up to three years. More than 200 PhD Fellowships will be awarded. For awardees who need more than three years to complete their PhD studies, additional support may be provided by the chosen institutions. For details, please contact the institutions concerned directly. The MasterCard Foundation has partnered with Michigan State University USA to provide full tuition scholarships to undergraduate and master’s students from Sub-Saharan Africa. The university will receive $45 million in funding from the foundation to support 185 scholars throughout the nine-year program, which includes 100 four-year undergraduates and 85 master’s degree students. MSU will host the most scholars among the six U.S. partner institutions. Students who have demonstrated academic talent, are economically disadvantaged and have a personal commitment to give back to their countries are invited to apply for these scholarships. The program is open to residents and citizens of Sub-Saharan African countries. Students must be first-time applicants to MSU. Transfer students are not eligible for the program. Strong academic performance to date in secondary school suggesting continued academic success as an undergraduate student. An interest in and capacity for give-back, evidenced by commitment and engagement outside the classroom in the school and/or community. Manifest ethical behavior and strong character essential to joining The MasterCard Foundation Scholars Network. Ability to deal with change, uncertainty, and adversity, as well as interest in other countries and cultures, necessary to succeed as a student overseas and represent one’s home country in this role. Commitment to give back in ways that enhance the economic growth and social development of Africa. Prior completion of a Bachelor’s Degree in Africa with academic achievements suggesting continued academic success as graduate student. Strong commitment to a professional path in line with the area of study that can positively impact Africa. An interest in and capacity for give-back, evidenced by commitment and engagement on campus, in professional pursuits and/or community. Value of Scholarship: Full financial, academic, social and post-graduation support. The Scholars Program will ensure that young people are equipped with the skills and competencies needed to spur economic growth and social development in their respective countries of origin. Important Notes: Students do not need to receive notification of acceptance to MSU prior to submitting their scholarship application. However, students must complete an application to MSU in order to be considered for the scholarship. Students who are already enrolled at MSU are not eligible for The Scholars Program. Facebook Fellowship Program is open to full-time PhD students (domestic and international) enrolled during the current academic year and studying computer science, computer engineering , electrical engineering, system architecture, or a related area. Everyday Facebook confronts the most complex technical problems and believe that close relationships with the academic community will enable address many of these problems at a fundamental level and solve them. As part of it’s ongoing commitment to academic relationships, Facebook is pleased to announce this extended two year Facebook Fellowship program to support graduate students in the 2015-16 and 2016-17 academic years. You are not eligible to participate in this Program if you are a national or legal resident of those countries in which the United States has embargoed goods (including, without limitation, Cuba, North Korea, Iran, and Syria, unless you are enrolled full-time at an accredited university in the United States or a non-embargoed country, with the exception of nationals and legal residents of Cuba, who are unconditionally ineligible to participate). Further, the Award, or portions thereof, may be forfeited if an Award recipient does not remain enrolled with full-time status and in good standing at the same doctoral program for the entire period of the award. Duration of Scholarship: Facebook Fellowship Award to cover two years! 1-2 page research summary, which clearly identifies the area of focus and applicability of anticipated research to Facebook. Research Proposal: Application must include a one (1) to two (2) page (single-spaced, 12 point Times New Roman font, one (1) inch margins) research proposal in your Field of study. Research proposals will be reviewed, subject to the two (2) page limit, and any page(s) submitted in excess of the two (2) page limit may not be read. Additionally, the Research Proposal must clearly identify the area of focus and applicability of anticipated research to Facebook. Research Area: The research proposal must address the applicant’s PhD research area. Transcript (OPTIONAL): Application may also include transcripts from any/all post-secondary educational institutions that the applicant has attended. On behalf of the Vice Chancellor,University of Nigeria and the Donor,Dr Samuel Maduka Onyishi,the Board and Management of SAMOAEF want to use this opportunity to make public the 2014 call for scholarship application for the award of the Dr Samuel Maduka Onyishi African Entrepreneurship Foundation(SAMOAEF),University of Nigeria. The application forms will be available at the Institute of African Studies or at its online portal within the University official website.The present call is only for undergraduates of Universities in Nigeria as those who are not bona fide students of our Universities need not apply since their applications would not be processed by the SAMOAEF Management.The same non-viabilitystatus appliesto those who are already Graduates of Universities. The forms will be available at the Instituteof African studies or online through theInstitute of African Studies page of the University of Nigeria. 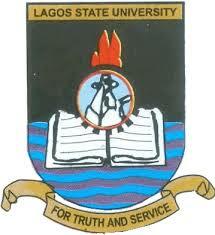 Lagos State University, Ojo recruitment for 2014 (with over 50 positions) is currently ongoing for Academic and Non-Academic Staff vacancies. The management of LASU is hereby inviting applications from suitably qualified candidates for the following vacant positions in the Lagos State University, Ojo. Candidates must possess Ph.D with ten (10) years teaching/research experience in a University. The candidate must possess some years of post qualification teaching and research experience in a University with several scholarly publications and administrative experience as well as demonstrate ability to provide academic leadership. An Associate Professor of at least three (3) years in a University may also apply. Considerable experience in Teaching/Research in a University is required. Candidates should have demonstrable capacity to participate in inter/multi disciplinary research, ability to provide academic leadership, in addition to reasonable administrative experience. Candidates must possess Ph.D with eight (8) years teaching/research experience in a University. A Senior Lecturer of at least three (3) years in a University may also apply. Candidates should have demonstrable capacity to participate in inter/multidisciplinary, ability to provide academic leadership in addition to reasonable administrative experience. b.) Must possess reasonable administrative experience and demonstrate ability to provide academic leadership. a.) Candidates must possess a Ph.D with at least three (3) years teaching experience as a Lecturer II or Ph.D with three (3) years experience in teaching/research in a University. b.) Candidates must have demonstrated research capability through scholarly publications in reputable journals. Candidates MUST possess a Ph.D in relevant field with evidence of teaching and research/potential experience. MLS or MLIS or equivalent obtained from an accredited University or a Master’s Degree plus a Postgraduate Diploma in Library and Information Science. Adequate knowledge of information technology (computer) is highly essential. Candidates should possess Fellowship recognized by the Medical and Dental Council of Nigeria and must be a Registered Medical Practitioner with fifteen (15) years post qualification experience. Candidates should possess B.Sc. in Mechanical, Civil or Electrical Engineering in a recognized institution with fourteen (14) years Post qualification experience in Maintenance of Infrastructure. In addition, candidate must be corporate member of the NSE, and must be duly registered by COREN. The deadline for application is 21st November, 2014. All applications for the LASU 2014 recruitment for the academic and non-academic positions advertised must be submitted before this date. Important Note: Applicants should indicate on the envelope containing their applications the Department and Position applied for. This Handbook is envisaged to assist you throughout the whole period of your involvement with Erasmus Mundus Master programme: from the very beginning when you want to find out more about Erasmus Mundus and apply for the chosen Erasmus Mundus Master Course to the moment when you get ready to return home after successful obtaining of Master degree. additional materials to help you make your Erasmus Mundus more successful. With any feedback comments and suggestions, please feel free to contact us at service@em-a.eu as the Student Handbook is to be yearly updated. Service Provider for Erasmus Mundus Students and Alumni Association.